Hello Monday! Today is all about the color yellow! I love wearing it in the summer! It is such a happy color! It reminds me of warm sunshine. This top is the cutest. What a happy outfit! I want those sunnies!! 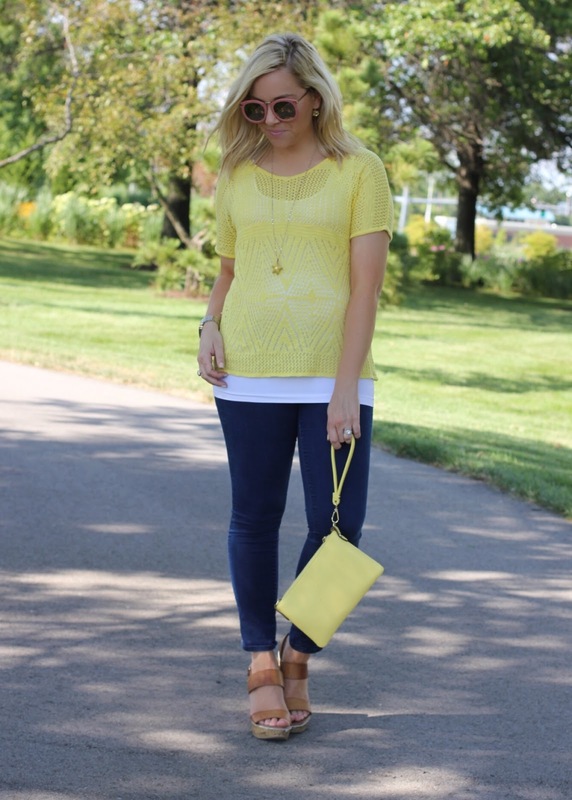 Oh, this outfit is adorable for the summer with the pops of yellow! I love that top and the sunnies look great on you, too! This color is gorgeous on you! Love the sunglasses, too. They are fun, but a little more subtle, too! So gorgeous in yellow, girl! You look fab in this gorgeous yellow top! you look so cute in yellow! great look!